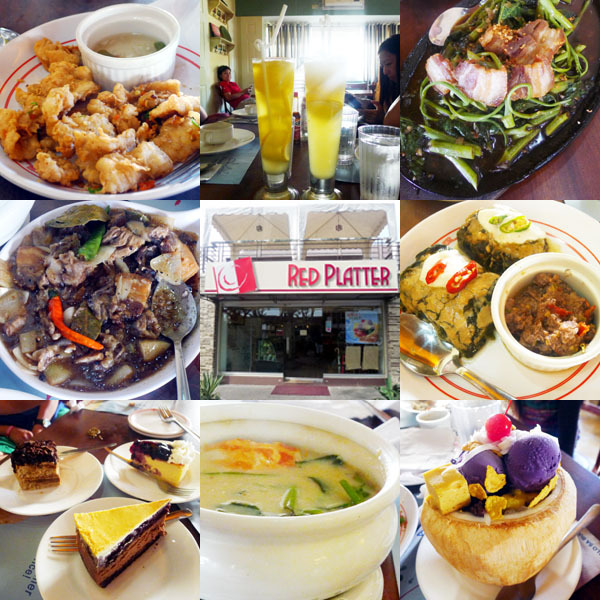 Picky eaters don’t need to worry about not having a decent place to eat in Naga. 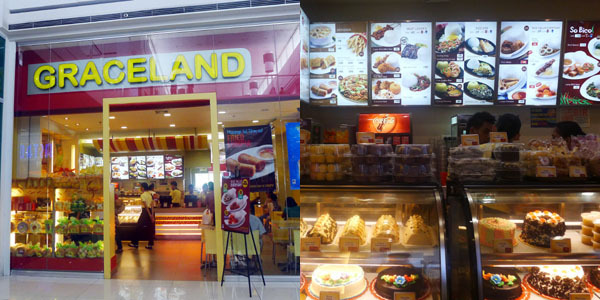 Some of the restaurants in Manila are there. Surprisingly, even Yellow Cab, Kopiroti, and Gerry's Grill have made it. 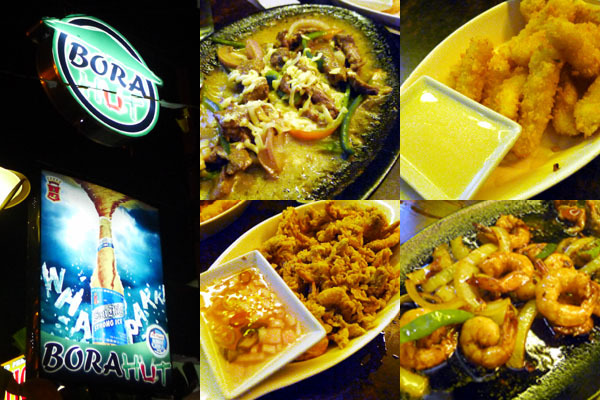 But for those who are searching for local food and restaurants specific to Naga, try going to the places that we ate in. Not only is the food delicious, it's generally pocket friendly. 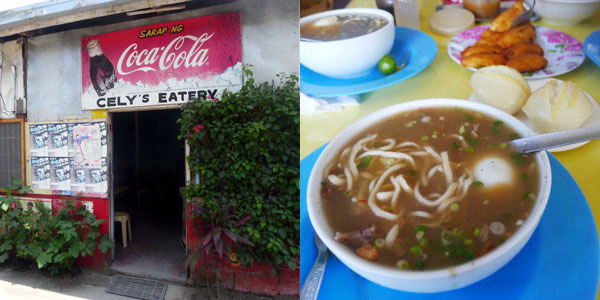 Don’t leave Naga without trying Kinalas—a local beef noodle soup. A small bowl fills you up but leaves you wanting more. It's full of flavor so add condiments sparingly. Great with puto or banana cue. Where: Cely's Eatery, corner Barlin and Dimasalang St.
From what I hear, it’s more popular than Jollibee! This actually reminds me of Goldilocks because of its specialty cakes, various bread products, and Pinoy meals at extra affordable prices. Where: SM Naga or P. Burgos St.
It’s a 20-minute drive from the city but the Laing Pizza makes it all worth it. It’s the best seller! The thin-crust pizza has taro leaves cooked in coconut milk and chili, topped with mozzarella cheese. 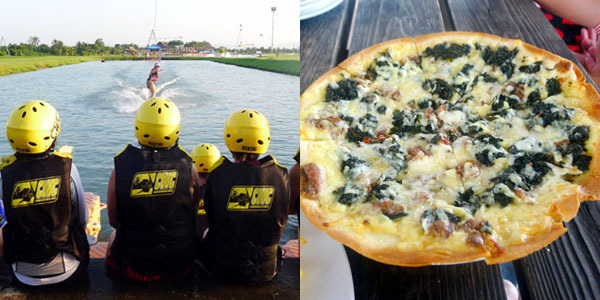 To find out what else you can eat in the CWC Clubhouse, click here! This is a perfect example of the laid-back gimik places in town. People can still hear each other talk, eat delicious food, and drink. Try the Steak Habanero, Cheesticks, Hipontastik, and Jamba Gambas. If Red Ribbon became a posh restaurant, this would be it. Try the Bicol’s Best Pinangat and Bicol Express! Also try the Bouillabaisse, Paksiw na Pata, and the Salt-and-Pepper Squid, among others. If I find myself in Naga again, Bigg’s Diner and Bob Marlin will be my next food stops! Have fun in your trip! Hehe! HELLOOO! =b Try the newest and probably the best burger joint in Naga - Shibuya Japanese Burger! They just opened last September 2013. Probably on on your next visit this Penafrancia Fiesta 2014! Apologies for the extra late reply! Thanks for the suggestion! I'll give it a try when I go there in the future. Hey boy wander. HAHA! who said that they are the best here in naga?? Celys? Graceland? Platter?? cwc? ?hahaha U must be joking how much did thay pay u?? U havent try the best in naga. Come back here and i will kick u in the face. that's the blogger's opinion, not yours! please have some manners and learn to respect others. Hello there! Apologies for the extra late reply. Before u post a blog. Stay here for at least a year dude. Amatuer! Thanks for the suggestion. Unfortunately, I don't think I'd be able to do that.